These are the parts we used and their prices as of Jan 2008. Obviously these prices may change at any moment. 1-inch length 8-32 machine screws. [*] The Charlize amp boards are available from the folks at DIY Paradise and Calv Acoustic Labs at http://diyparadise.com/charlize.html. The version we are using includes blocking capacitors for removing DC offset, which also rolls off frequencies below 80 Hz, since these speakers do not represent low frequencies effectively (we use subs for that). There is also a higher-powered four-channel version available (see their website). There are also other manufacturers using the Tripath class-T amp (T-amp); this one uses the TA2020 chip and rates about about 10-20 W per channel. For more on the T-amp, see T-Amp FAQ. This comes to about $837.92, not including small parts (screws, wire, tape, etc). This also does not include material costs for the body/shell of the speaker. Finally, if you really want to all ALL OUT, check out the custom cases we had designed by the folks at Platt, for $150. Contact them directly for info about how to order one! 1a.) Cut out main body, cut large holes in all panels and half holes in half panels. Drill and tap 8/32 holes in all panels excluding the half panels for speaker mounts. 1b.) Bend up all panels 110 degrees. Weld at half panel joint. Sand joint smooth. 1c.) 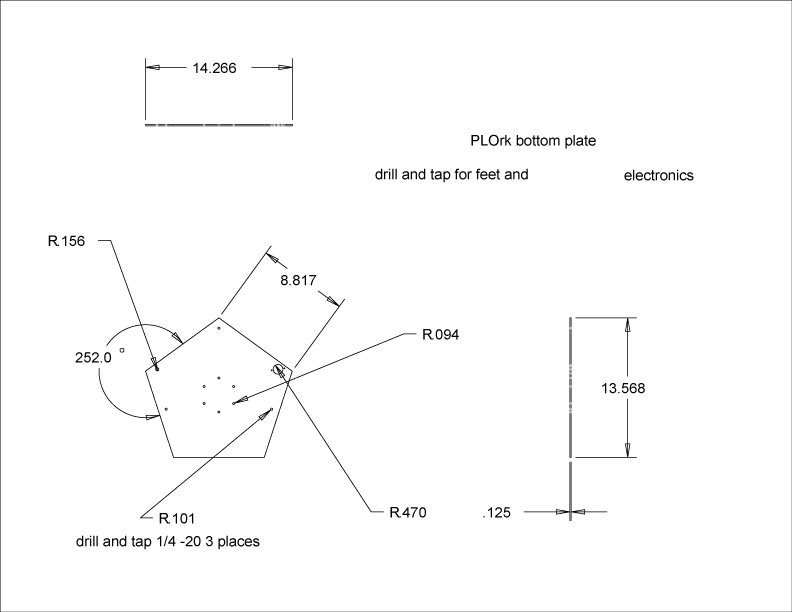 Cut out, drill and tap bottom plate. 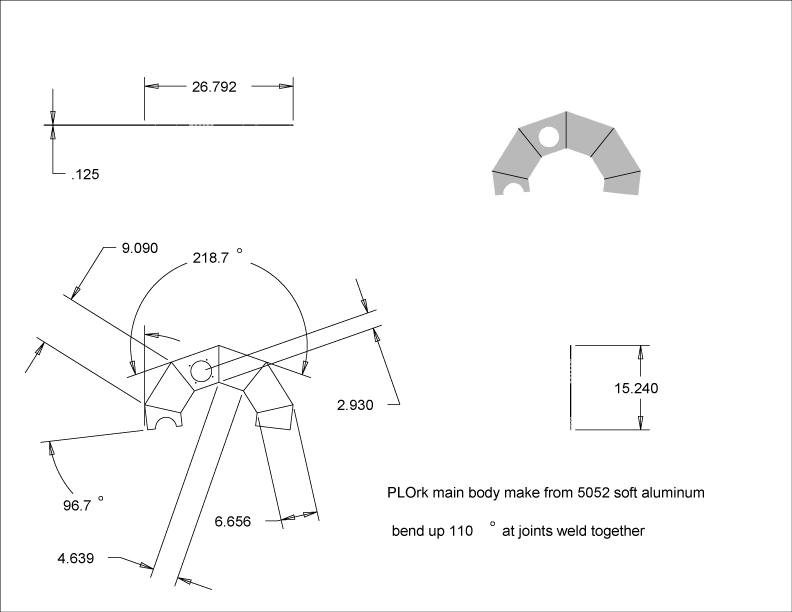 Weld to main body. Sanding is not necessary on the bottom plate. 1d.) 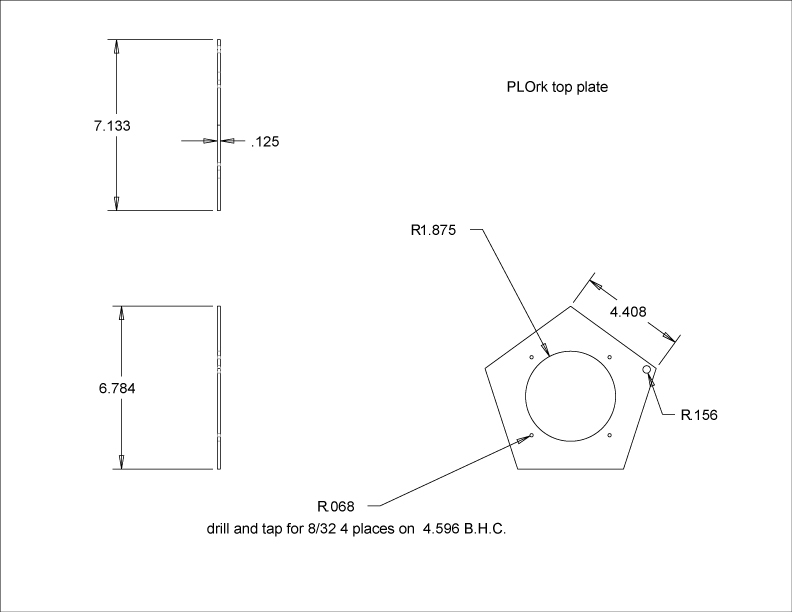 Cut out top plate. Cut out large holes and drill and tap 8/32 holes for speaker mounts. Weld to main body. Sand smooth with radius. 1e.) Fabricate drill jig to drill and tap 8/32 holes in the half panels. There are obviously other options available for creating your own shell. Electrotap sells the larger 6-channel hemi we were using for several years, which could potentially be retrofitted with built-in internal amps. See also the Low Cost Spherical Speaker Array instructable, and the salad-bowl speakers of the Stanford Laptop Orchestra (SLOrk). 2b.) Solder six 36-inch long colored wires to each of the pot's lower terminals, and one 36-inch long black wire to the ground. Twist them together into a harness of cable. 2d.) Solder three pairs of the wires above to three different Charlize boards. Whatever you chose for channels 1 and 2, for example, white-purple/purple, will be soldered to the left and right input terminals of a Charlize board. Do the same for channel pair 3 and 4, and pair 5 and 6. 2e.) 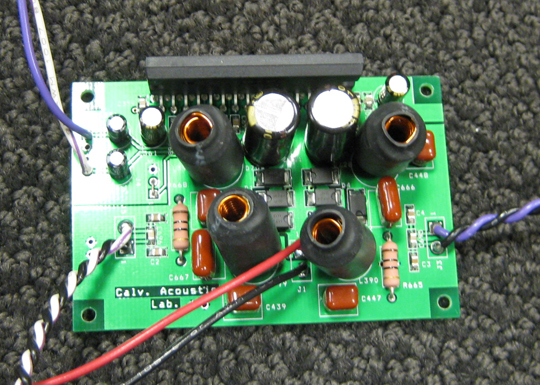 Using red and black wire, solder the power terminals of each Charlize board together and connect them to the coax jack; and include the ground common ground wire of the pot in this power ground. 2f.) 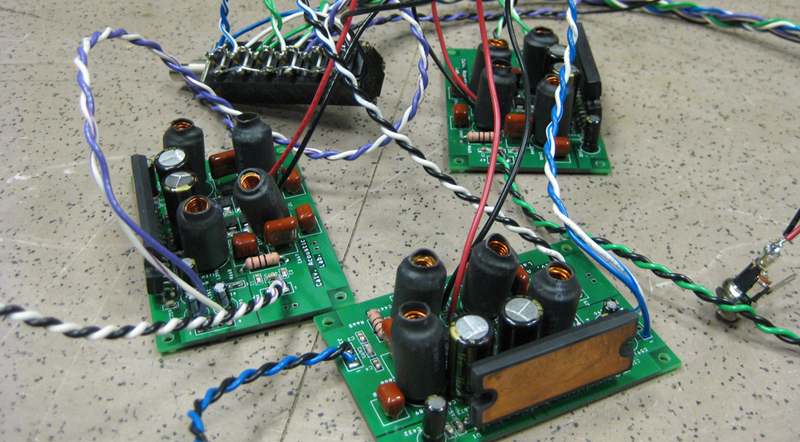 On each Charlize board, solder an 8-inch pair of wires to the left and right output terminals of the board. Use the same color scheme to identify channels. For example, the white-green/green input wires for channels 1 and 2 would result in a left output with white-green/black, and the right output with green/black. A completed set of guts. 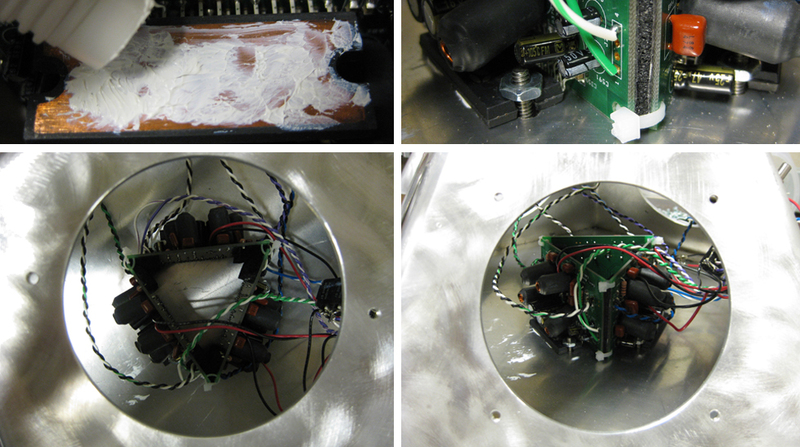 An important final step before mounting the guts inside the shell is to TEST each amp channel to make sure it works. Simply plug the amps into a 12V power supply and run test leads to each input on the pot from a line audio source (CD player, iPod, etc) and connect a speaker temporarily to the corresponding output. If they all work, go on to the next stage. 3a.) Mount short pieces of foam on each end of the back of the Charlize boards. Then use nylon cable ties to fasten the three Charlize boards together into the shape of a triangle. NOTE: You will probably have to leave one corner unbound until you get the whole contraption into the shell! Otherwise you may have trouble fitting it through the speaker hole. 3d.) Paint the bottom of each of the TRIAD amp chips with thermal adhesive. Then position the board cluster in the center of the inside of the hemi so that the six circular holes on the bottom will line up with the half-moon indentations on the TRIAD amp chip of each board, as shown. Use 6-32 machine screws and nuts, and be careful not to over-tighten! Use threadlocker on the screws and nuts. NOTE: Be careful to orient the three amps towards the speaker holes whose speakers they will power, if possible. 3e.) 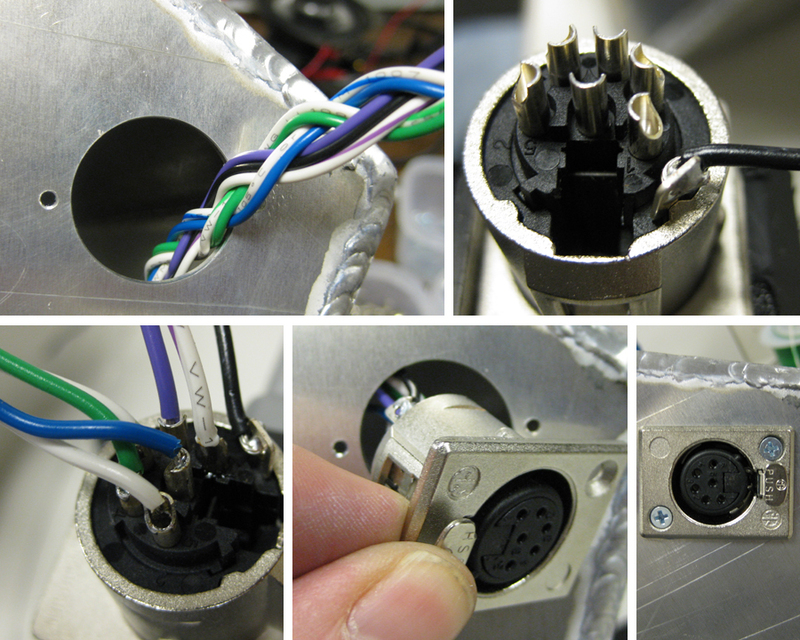 Thread the long cable harness tailing off of the volume pot through the jack mounting hole. Solder the leads to pins 1-6 for channels 1-6, and solder the ground lead to the grounding terminal on the jack. Mount the jack using 4-40 machine screws. Remember to use threadlocker! NOTE: Make sure that the tab on the jack is facing the right edge of the speaker. Your favorite 4" coaxial drivers (6). We like the Polk db401. 4a.) Mount some foam around the openings for the speakers, enough so that any flat metal or plastic part of the speaker flange will not rattle. 4b.) Pull out the appropriate pair of leads for each speaker, solder it up, and carefully mount the speaker. Use threadlocker! 4c.) 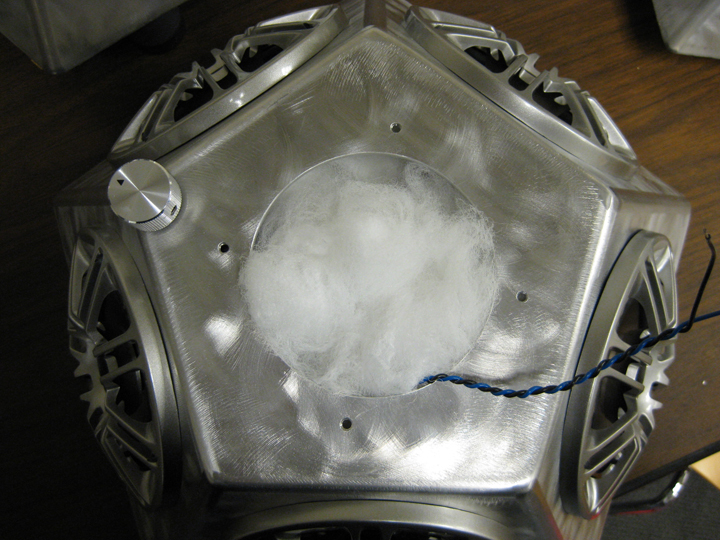 Before installing the sixth and last speaker (top), first fill the inside of the speaker with acoustic fiber. Put in a lot of fiber -- but don't over-stuff. Make sure that wiring and boards are not pressed-upon too much. 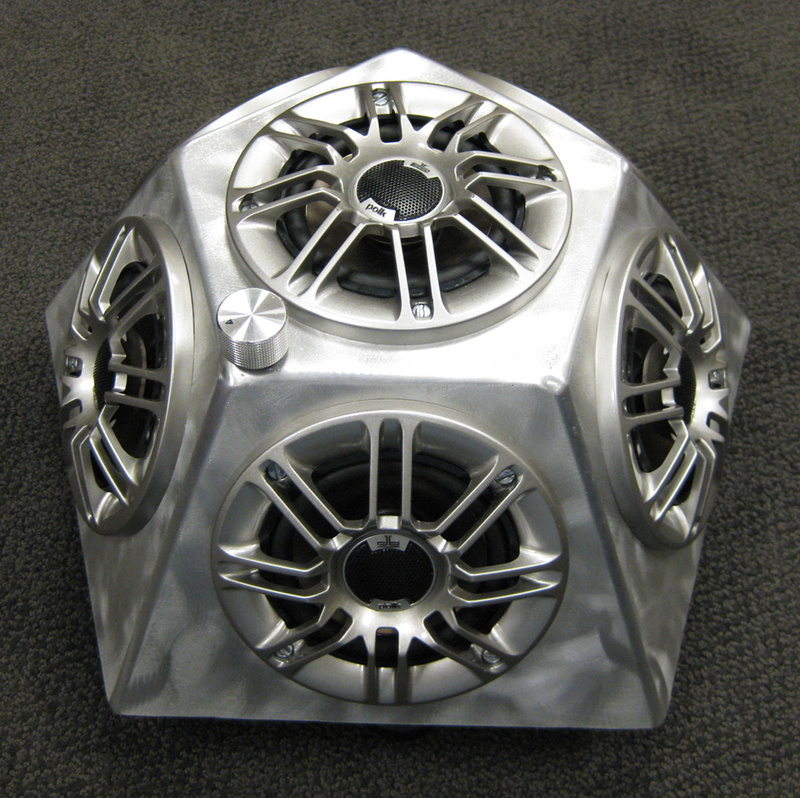 Once the speakers are all in place, mounted, and ready to go, it's time to test your speaker. This can be done in many ways, and should involve testing each speaker independently and together with the others. The six-pin XLR input jack is quite non-standard, so there aren't any adapters available commercially. You will have to build your own, or you can order them custom from HAVE, Inc if you are ordering several (send them the pdf below - they will have seen it before). The six pins represent the hot signal from six independent line inputs. They share a common ground, which should be connected to the connector plug's ground casing. The diagrams below show how 2 different adapters should be made. One is as described, and the other is a "mono" adapter, which essentially splits the signal six ways.